Versus gamified indoor fitness by using technology to change the way people exercise in health clubs, fitness facilities, and schools. 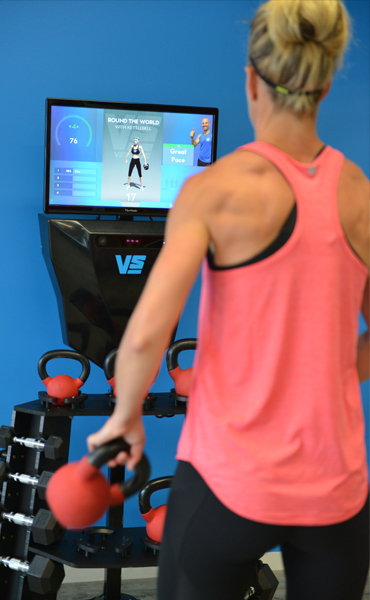 Versus Fitness uses advanced technology to accurately track and score hundreds of exercises in real-time. 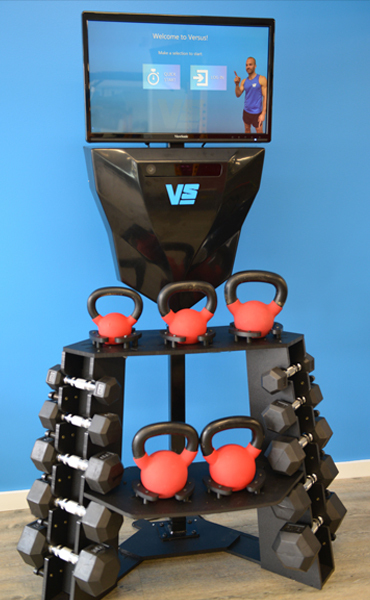 Versus has created the world’s first “smart” weight rack combining both dumbbells and kettlebells. As a weight is removed from the rack the Versus system instantly detects what weight has been removed. This makes the entire process not only easier but more efficient. Smart System – The Versus system uses advanced technology developed in conjunction with one of Australia’s leading universities to track almost 100 exercises in real-time. Counting reps, tracking weights, giving scores and providing technique feedback to users it provides a compelling and addictive workout. Competitive Workouts – We’ve gamified workouts so your members can challenge each other. Or they can challenge themselves against their own personal best. Safe & Controlled Workouts – Cutting-edge motion tracking technology constantly watches your members’ technique and ensures they’re performing exercises safely and using the correct weights for their fitness and skill level. Customize & Expand – Up to 16 Versus systems can be connected together to compare scores and actively compete against each other, in real time and by progress tracking. Results & Progress Tracker – Featuring their own app with detailed information of your workout to comparing scores to your friend in a health club across the globe, Versus provides you with the best statistics possible for you to motivate yourself. They are then directed to an available Versus station and the system takes them through a short warmup routine that is relevant to their selected workout. Following the warmup, the workout sessions will start and they are shown a 3D animation of a given exercise and they must perform the exercise correctly following this. For each repetition they complete they are given a score which is calculated using a combination of range-of-motion, technique and weight lifted (not applicable to body weight exercises). Workouts can be programmed to run for 6 minutes through to 30 minutes during which time the system will run them through a large number of different exercises. As they progress between exercises their total score is displayed on the screen.